Social media can be an overwhelming place -- even for the experts. Which networks should they use, what should they write, how frequently should they post, and does the time they post really matter? I wanted to answer these questions for marketers once and for all: How frequently should social media marketers post on Facebook, Twitter, and LinkedIn to get the most bang for their buck? And when they should do it? When's the Best Time to Post on Twitter? Time generally doesn’t matter -- that's right, you heard it here. There’s some uptick in the number of clicks at the very end and very beginning of the day, but we also see a lot less volume during that time so it’s not a statistical trend. Post on Twitter whenever is convenient for you. Your focus should be on content, not on the time of day. Which Is the Best Day to Post on Twitter? For most tweets, there’s no difference in the day of the week that you post. For really good tweets -- the ones in the 95th percentile -- there could be some benefit to posting on Sunday, Monday or Tuesday, but it is not terribly significant. What's the Optimal Publishing Frequency on Twitter? Twitter is still mostly a chronological social network, and therefore the more marketers post, the more visibility, and total clicks their posts get. On Twitter, publishing more is better. For marketers with at least 100 followers on Twitter, each message earns marketers a median of 2.5-3 clicks. This isn’t license to publish terrible posts -- that’s not beneficial to your brand or for clicks -- but as a temporal platform, it’s not as critical to have perfectly polished prose as it is on other social apps. 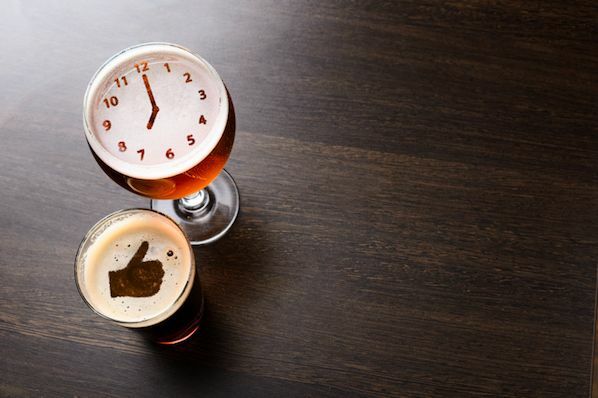 When's the Best Time to Post on LinkedIn? 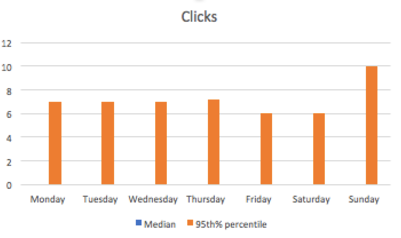 The median number of clicks doesn’t vary at all, but the 95th percentile of posts does show a dropoff with posts that are published late in the evening -- after 5 p.m. or so. 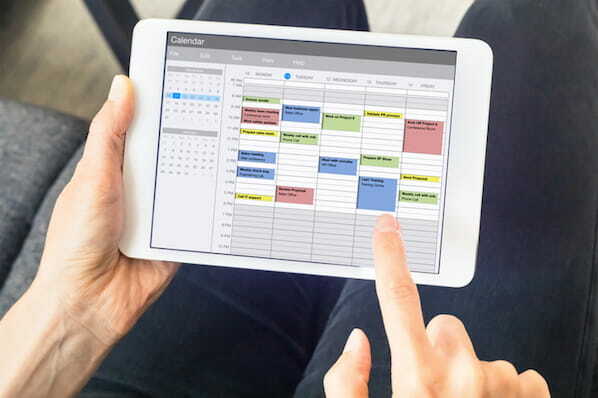 Therefore, schedule posts on LinkedIn to go out during business hours (after all, it is a business networking site), but the focus should be on content, not the time of day. Which Is the Best Day to Post on LinkedIn? Posts published Mondays, Saturdays and Sundays don’t perform as well as posts published Tuesdays, Wednesdays, Thursdays, and Fridays. Audiences must be too busy working to check LinkedIn on Mondays, and who wants to think about work over the weekend? 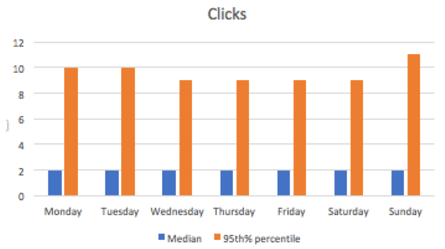 Tuesdays and Wednesdays are especially good times to publish on LinkedIn -- they have a generally higher median as well as 95% percentile clicks. 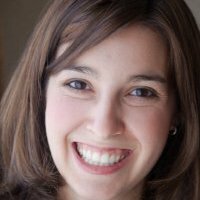 What is the Optimal Publishing Frequency on LinkedIn? Once you publish more than 5 times per week (for most companies, this means once per work day) the return on investment drops substantially. What is likely happening is LinkedIn doesn’t want users’ feeds to be overwhelmed by posts by the same company, so the second post in a day that a marketer publishes can cannibalize the performance of the first. For pages with at least 100 followers, the first two posts on LinkedIn per week will typically bring in two clicks each. However, the 10th post in a week for those channels only adds about 0.5 clicks. The marginal effectiveness of creating content for LinkedIn maxes out at 2 posts per week, so we suggest sharing between two and five posts per week on LinkedIn to get the maximum value from the network for the time spent creating the content. At the median, most posts on Facebook don’t do very well. But at the high end (95th percentile) there’s a lot of variability, especially at the beginning and end of the day. 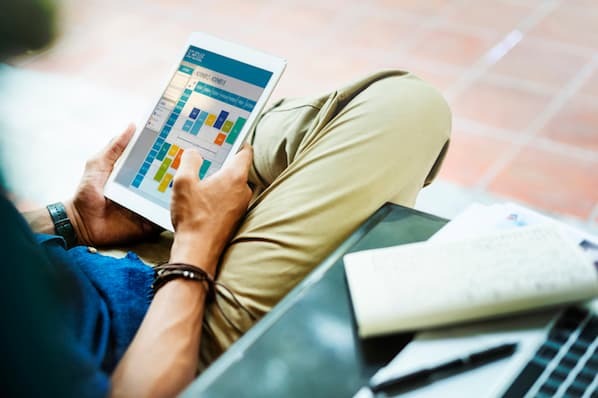 Since there are fewer posts during the beginning and end of the day, these aren’t statistical trends that marketers can count on. We suggest marketers focus on the content, not the time of day or day of the week when publishing -- more on that later. Which Is the Best Day to Post on Facebook? Wait, there’s no median. Actually, that's not a typo. 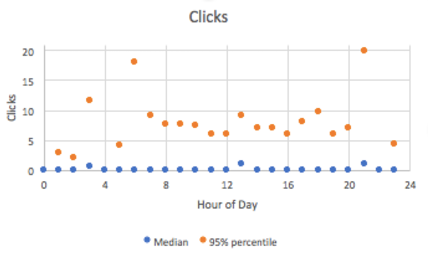 The number of median clicks for all accounts is actually 0 -- because only really good content on Facebook gets surfaced highly. There isn't an ideal day to post on Facebook. However, it’s slightly better to post on Sundays, and there’s a natural dip in post frequency and engagement on Friday and Saturday. 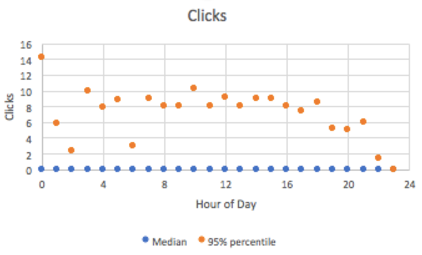 What Is the Optimal Publishing Frequency on Facebook? Similar to LinkedIn, once you publish more than five times per week (for most companies, that's once per workday) the return on investment drops substantially. 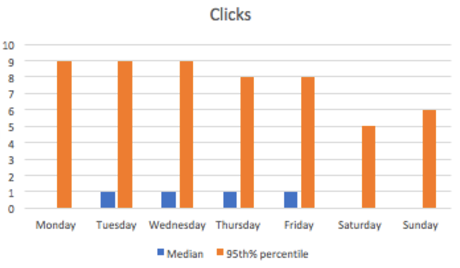 For Pages with at least 100 followers, the first two posts on Facebook earn a median of a single click on them, and after the 10th post, each additional post nets just half a click, and then continues to fall. Therefore, we suggest publishing between two and five times per week on Facebook. Facebook prioritizes “fresh” content and doesn’t want to overwhelm users with just one company in their feed, so when companies publish more than once in a day, their first post can be cannibalized by the second. Publishing more than once per day won't just earn you diminishing ROI --- Facebook could even punish your Page with the algorithm if you don’t get a lot of engagement with your posts. That said, if your posts are consistently getting many likes or comments -- at least more than five on each one -- then it makes sense to post more. The key with this platform is engagement -- so as long as your audience likes what you’re writing, Facebook will continue to reward you and show it in the News Feed. So ... Why Publish on Facebook at All? 1) Publishing on Facebook shows leads and potential customers that you’re actively in business. Many people go to Facebook simply to research companies and look for thought leadership -- and if your Facebook page is incomplete and inactive, they may go with a competitor who is more prominent on the platform. 2) It's easier to go viral on Facebook. The number of outliers that we see at every level is substantial -- which means that when you go viral on Facebook, the upside is very, very high. The maximum clicks that a single Facebook Page received during this timeframe was 8K -- and the Page published just five times that week. The peak number of clicks that a single account on LinkedIn received was about 1K, and the peak on Twitter was just under 7K … but that Twitter account published more than 100 times that week. The lesson here? When you go viral on Facebook, you can go viral more than on other networks. 3) Facebook Ads offer some of the highest ROI of social ads you can buy, especially if you are doing any retargeting. And once you’ve published on Facebook, it's the easiest platform from which to boost posts and get more distribution (and followers). What Does This All Mean for Your Social Media Strategy? When it comes to posting on Facebook and LinkedIn, remember that you may only have between two and five posts per week that will get distribution by the networks' news feeds. With that in mind, focus on the quality of each post (and the content preferences of your audience), and aim to get more likes, comments, and shares as your metrics of success to build up your audience and to make the news feed algorithms work for you. And when it comes to Twitter, post freely -- the timeline updates so frequently that you're at an advantage posting more often to reach more people. Many thanks to Monty Solomon, Kelsey Dietz, Dan Kulla, and Lincoln Bryant for helping with the data.